Which are the Best Shoes for Waitressing and Why? Don’t just get any type of shoes if you’re a waitress. You need a special kind of shoes for such a demanding job, you know. Below, you will find some of the most important factors to consider when choosing your shoes. Professional-Looking Appearance – As a waitress, you need to look presentable to your customers. So, your choice of shoes should be stylish – but not so informal that it makes you look tacky. Comfortable – A really comfortable pair of shoes will make you feel relaxed and happy even if you’re working an 8 or 10-shift hour job (and on your feet the whole time). Ask yourself several questions before making the final decision on which pair of shoes to buy. Being meticulous in choosing your shoes for your job will save you a lot of heartache and foot ache as well. Does the model of shoes provide good arch support? Always carrying heavy trays back and forth can prove to be very stressful for your feet. 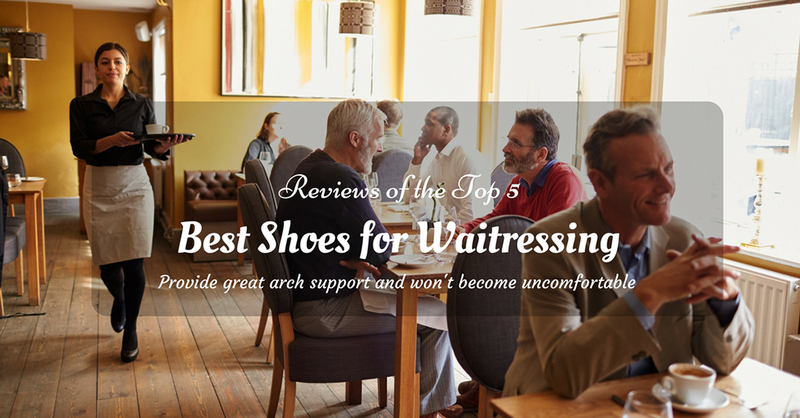 Without good arch support, your feet can get swollen from the rigors of a waitressing job. 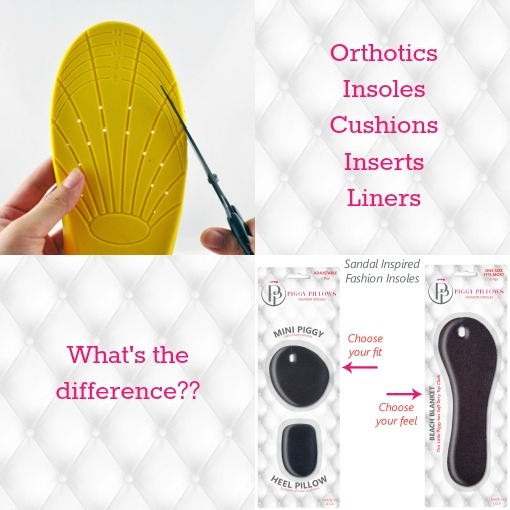 Fortunately, there are gel insol﻿﻿es or in﻿﻿sert﻿﻿s that you can use in conjunction with the cushioning system of your shoes. Restaurant settings expose you to spills and wet floors all the time. Regular shoes can make you slip – especially if you’re in a hurry to serve your customers. For your own safety and peace of mind, make it a point that you’re wearing non-slip shoes while waitressing. Does your pair of shoes complement your uniform or outfit? Remember that you’re in a customer service profession and that giving the good impression to your customers is one of your goals. Having a good sense of fashion as a waitress will also increase your self-confidence. Is your chosen pair of shoes within your budget? There’s no need to buy a pair of shoes that you can’t afford. However, I really suggest saving up for it as investing in the best pair that you can afford will be good for your health. Note: You need to answer YES to all the questions listed above – to make sure that you’re making the right decision in choosing a particular pair of waitressing shoes. Should you answer NO to any of the above questions, look again – as you’re probably considering a wrong pair of shoes. As a waitress, you are one of the people in charge of customer service. Your role, therefore, requires you to have a pleasing personality. Listed below are just some things to remember on how to be a good waitress (video). The last point includes wearing the proper shoes, of course, as this is also a part of your overall appearance. But don’t worry, as the last section of this post will cover some of your best options when shopping out for a pair of waitressing shoes. Hey, I know how hard it is to shop for the best pair of shoes that’s specifically intended for waitresses. That’s why I came up with a TOP 5 list for ​waitress shoes so that you can choose from some of the best products out there. Yes, there are many – and the ones listed below are some of my top picks. Materials – This model of shoes from Townforst uses Sunbrella fabric. The top portions of the shoes are water-resistant. Design – The shoes come with the padded collar. As for the style, this is the type of shoes that you can use during work hours and off-work hours. Cushioning System – There are cushioned insoles inside the shoes. Slip-Resistant Sole – The soles won’t slip when exposed to wet and greasy floors. Color/s – This particular model of shoes is available in black color. The non-slip soles have the good grip on the floor and will allow you to maneuver and work your way through people and tables as you serve food. The insoles offer good support and a comfortable feel while working. The style doesn’t cover the whole feet – portions of your skin or sock will show when you’re wearing this pair of shoes. I like this shoes a lot. 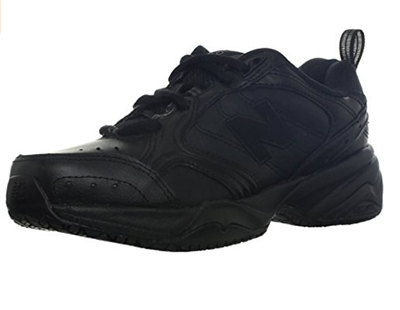 And if you’re only allowed to wear black shoes in your waitressing job, this model makes for a fine choice. It’s so pretty that you can also wear it during your day off. To get an idea about Townforst products, click here (video). Materials – This model of shoes is made from high-quality leather. These shoes are comfortable to wear for long hours. This model of shoes comes with good arch support. As this is not a slip-on pair of shoes, you will need to manually tighten up the laces as you go. 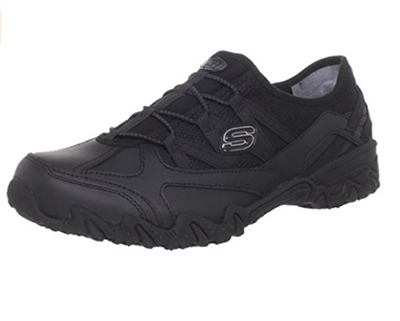 If you are after comfort, convenience, and style, try looking at this model of shoes from Skechers. 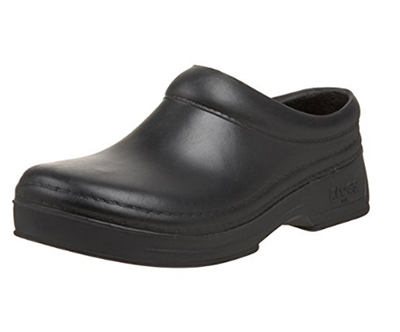 It’s a slip-on type of work shoes that’s suitable for people who are always on the go – like waitresses. Materials – The shoes are made with leather and fabric materials. 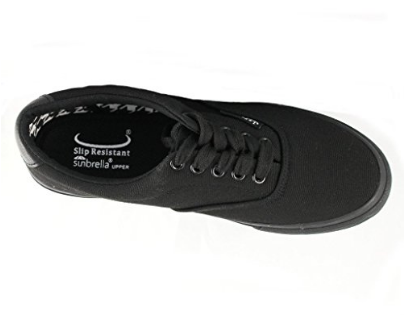 Rubber Soles – Having rubber outsoles makes this pair of shoe non-slippery even when you’re treading wet and greasy floors. Cushioning System – There are supporting insoles. Design – The breathable mesh panels help avoid moisture buildup inside the shoes. Color/s – You can choose from black or white. This is a model of athletic sneakers that can also be used by waitresses. It can provide support for the tough job of waitressing – just like in working out. If you’re looking for a casual style of working shoes, consider this model as one of your options. If you’re comfortable wearing a clog-style type of shoe﻿﻿s, this model makes for a perfect choice. It landed on the Top 1 spot because its price (which is reasonable) matches its quality. Materials – This model of shoes is made from synthetic rubber materials. Cushioning System – The antimicrobial footbed is removable. You can replace it with orthotics if you want. Style – This is a slip-on type of working shoes that covers your entire feet. Outsoles – The outsoles are made from synthetic, shock absorbing materials that are also slip-resistant. Color/s – You can choose from different colors and shades such as black, white, brown, blue, purple, green, pink and much more. 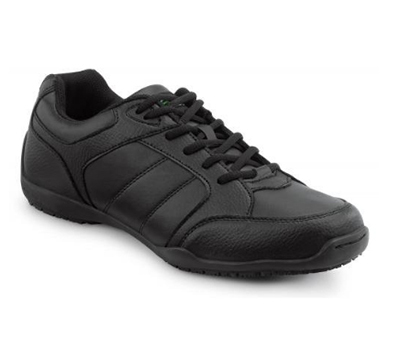 This pair of shoes is lightweight and stable – you will not slip or skid on wet and greasy floors. The shoes provide the feet with the good support system. They’re easy to clean – just wipe dirt and grime from the surfaces with damp cloth. Because of the very demanding job of waitressing, the bottom part of this shoes may wear out ahead of the shoes itself. If I were a waitress, I would probably get this model of shoes from Klogs. I like it a lot, as compared to the other models presented in this Top 5 list – that’s why I gave it the #1 position. Although my first choice would be the model in the Top 1 position, your preferred model can be any of the other 4 models of waitressing shoes presented here. You certainly have your own needs and style to fulfill – and only you can really choose the best shoes for you. Still, I want to reiterate my recommendation – which is the Klogs model. Its durability and style simply impressed me, and I like that it gives you a lot of options in colors (if colored shoes are allowed in your job, that is). Budget-wise, I am also recommending the SRM model. It’s really very affordable if you’re on a budget. And although you might have to buy 2 pairs of shoes in a year, the comfort they provide and the price make it all worth it. Do look at all your options one more time and don’t settle for anything less than what your heart desires. You have a tough job and your feet deserve a lot of love – remember that. Buying the right kind of shoes (video) will make all the difference in your daily life. Let me know your thoughts by commenting below. And if you have friends who are also looking for the best shoes for waitressing, pass this article on to them to help them out, too. Read Also: For non slip kitchen shoes, click here.